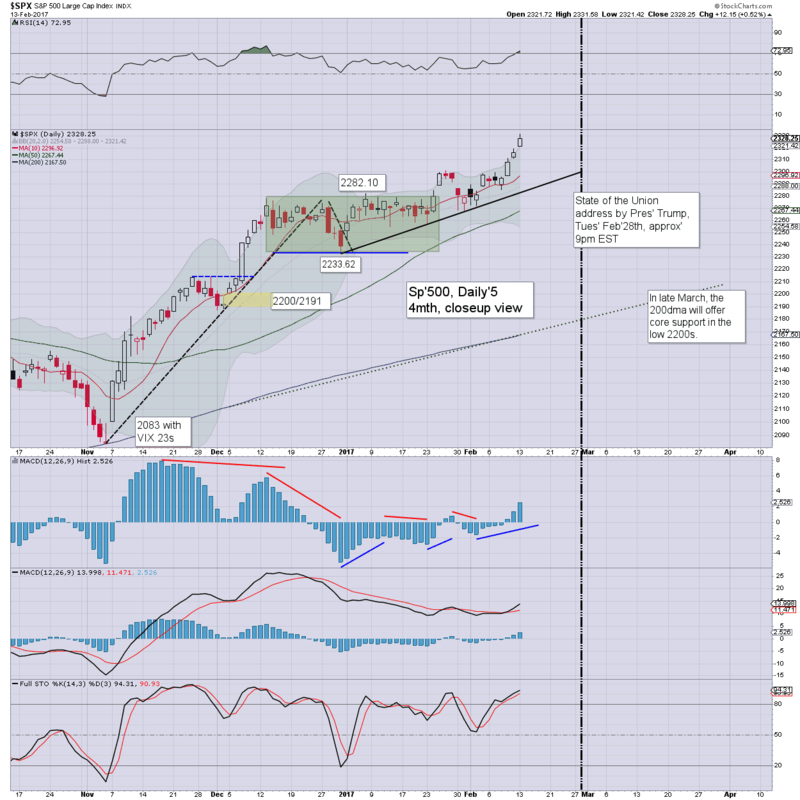 US equity indexes closed broadly higher for a fifth consecutive day, sp +12pts @ 2328. The two leaders - Trans/R2K, settled higher by 0.9% and 0.2% respectively. 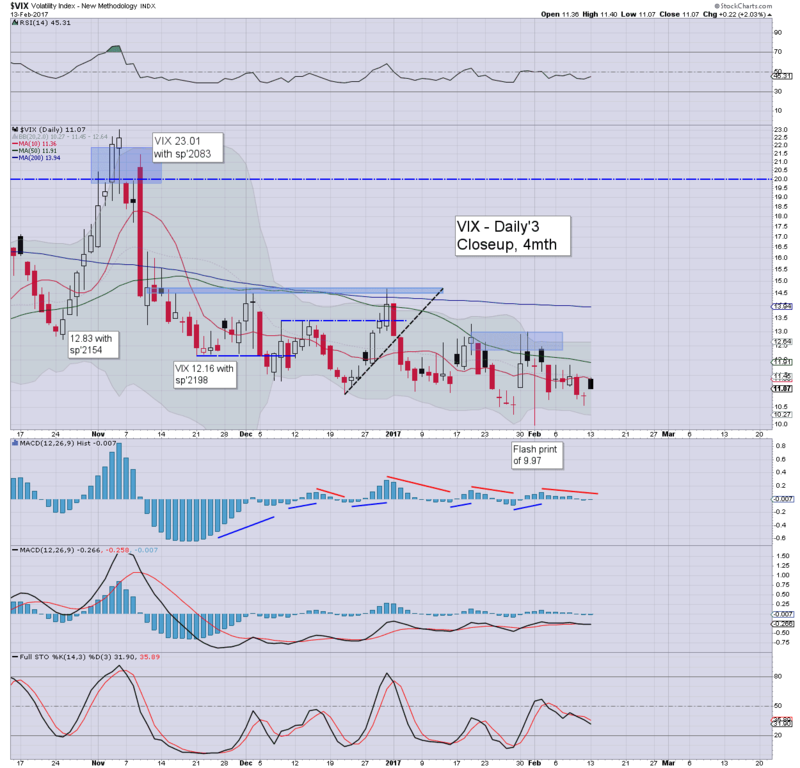 VIX settled +2.0% at 11.07. Near term outlook threatens some cooling, but the bigger weekly cycles (especially for the R2K) argue for continued upside into early March. 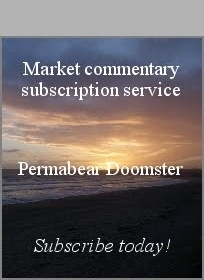 US equities began the week on what was unquestionably a super bullish note. Five of the six main indexes that I regularly highlight broke new historic highs. 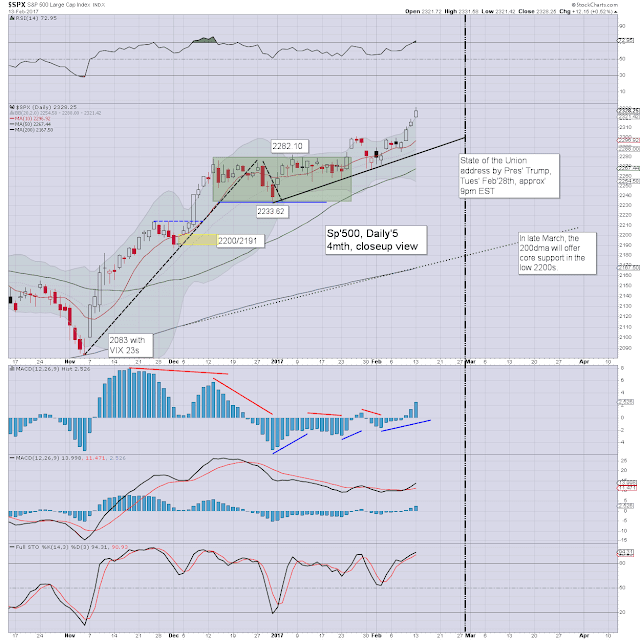 The rogue index... Trans, looks set to follow tomorrow... or later in the week. 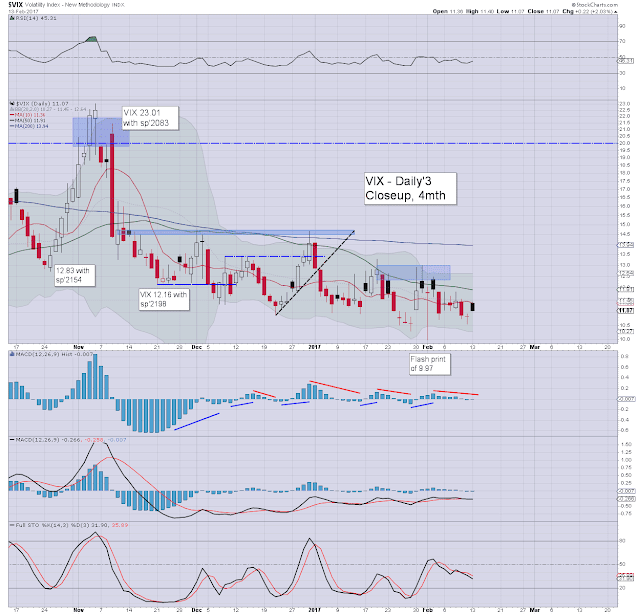 VIX naturally remains subdued.. as most are now resigned to the 11/10s for at least another week or two. Those of you who have been paying attention to the R2K, should not be surprised by the ongoing upside.